I developed type 1 diabetes at the age of 8, but it wasn’t until I was 9 that I was formally diagnosed (September, 1991). The internet was just a blossoming idea at the time and my parents were scared out of their minds! They didn’t have this invaluable, endless network of information at their fingertips, what we now lovingly refer to as the Diabetes Online Community #DOC (hooray for technological advances!). 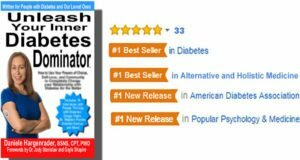 Through many trials and tribulations, great successes and horrible scares, after years of pain, guilt, shame, fear, helplessness,and frustration that manifested in a variety of mental and physical struggles, the Diabetes Dominator was forged. Through years of clinical depression, obesity, and an eating disorder that I blamed entirely on diabetes, I eventually realized that it wasn’t diabetes that was to blame, it was the choices I was making that were based on the self-worth I lacked that truly determined my day to day reality. Diabetes Dominator is an identity and mentality that can be (and is encouraged to be) adopted by anyone who so CHOOSES to step up and be accountable, any person who takes responsibility for their actions and does not place blame for current situations or circumstances on another person, thing, or event. The Diabetes Online Community (DOC) and the support I found from my peers played a huge role in my growth into a joyful, loving, empathetic teacher, coach, author, speaker, consultant and entrepreneur, and I hope it serves you as well. You can find my bestselling book about creating total wellness while living with diabetes– mind, body, and spirit – and the mindset of creating sustainable change through our incredible powers of choice, self-love and community here. Download your free eBook, explore a free coaching consultation and so much more on my website by clicking here. As I always say, let’s consciously and intentionally choose to practice being more loving as often as possible – both to ourselves and others – because you deserve it, and the world needs as much love as it can get!